But to be frank Facebook has helped many people,organizations, communities in different ways of communication today. 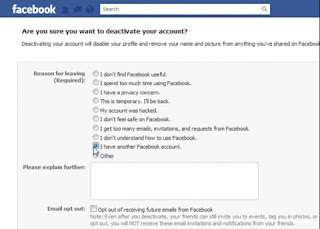 Most times you feel frustrated on Facebook and you are finding it difficult to deactivate that account but you have to be smart because what ever that has create must also have delete right? 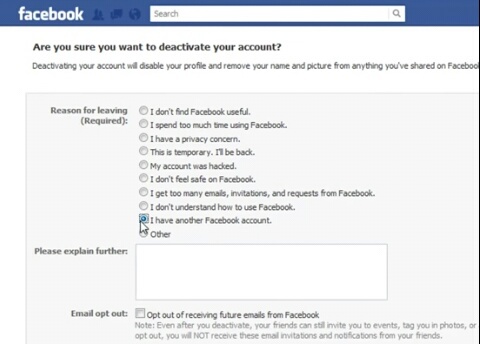 Below are some helpful steps on how to deactivate your Facebook account. Click on the settings button it is located at the top right corner of your homepage in desktop view. Then click on account settings >> security >> click deactivate your account tab. After clicking on the deactivate button then select your reasons for deactivate that account. Finally click on deactivate button and then remember that to deactivate is different from delete. Hope this really helped you don't forget to drop your comment below thanks.